Antonio Warner and Mackai Whitter concluded competing in the C.O. 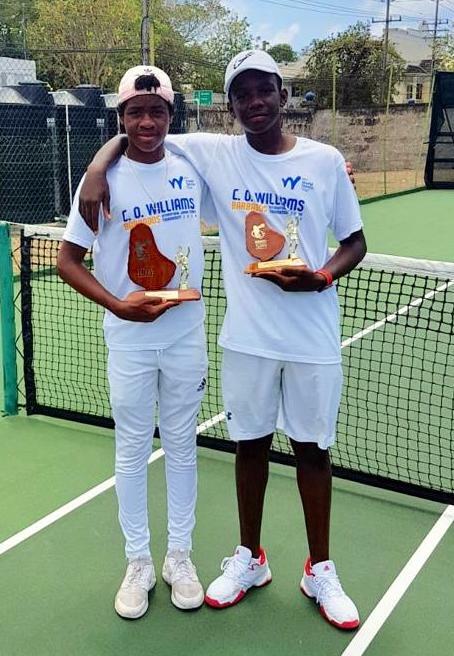 Williams Barbados COTECC Circuit 2019 Junior Tennis Tournament. At the conclusion of the tournament Whitter finished 3rd and Warner finished in the 4th spot. The International Tennis Federation Junior Circuit Level 4 event, now in its 25th year, was for the third year sponsored by the CO Williams Group of Companies. The tournament this year saw players from every corner of the Caribbean as well as Canada, Chile, Columbia, Hungary, Israel, Japan, Norway, Sweden and Bermuda, to name a few to bring up a total of 27 nations represented from around the globe.